Frank R. Stockton (1834-1902) was a brilliant writer of numerous works of highly imaginative drama and satire. During his day, he was considered one of the country's leading men of letters, some said second only to Mark Twain. He edited and contributed articles to the famous children's magazine, St. Nicholas, which published many well-known authors. His science fiction novels, such as The Great War Syndicate, were widely imitated. His "puzzle" story "The Lady, or the Tiger?" was extremely popular, and was made into a motion picture. Stockton wrote more than 30 books for adults and more than 20 for children. His works for adults include Rudder Grange (1879); The Lady, or the Tiger? 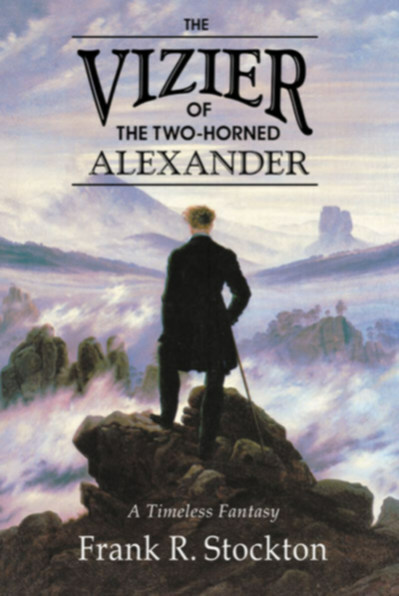 and Other Stories (1884); The Casting Away of Mrs. Lecks and Mrs. Aleshine (1886); The Dusantes (1888); The Great War Syndicate (1889); Ardis Claverden (1890); Pomona's Travels (1894); The Adventures of Captain Horn (1895); The Girl at Cobhurst (1898); The Great Stone of Sardis (1898); The Vizier of the Two-Horned Alexander (1899); A Bicycle of Cathay (1900); The Captain's Toll-Gate (1903); The Magic Egg and Other Stories (1907).